Sony is great at offering some great sales periodically on the PlayStation Store, from the monthly flash sales that drop some deep discounts, to the themed weekly sales that offer low prices on popular games. This week is Sony’s massive PlayStation Store Mid-Year Sale, with more than 800 items discounted. While that’s a lot to filter through, we took the opportunity to grab some of the notable highlights from this sale, including both PS4 and PSVR games. Assassin’s Creed Origins for half price immediately caught our eye, but experiences like The Witcher 3: Complete Edition for only $20 certainly don’t miss the mark. The Mid-Year Sale is one of Sony’s bigger sales, with only the quick flash sales and holiday sales ever giving it a run for its discounted money. If you’re looking for something to play and want to hurt your wallet a little bit, it’s worth checking out what’s available. Note that some titles also have their definitve/ultimate editions and bundles discounted along with the base game discount. Check the store to see if you want to pay a little bit more for the complete editions of any titles you are interested in getting. The following is by no means an exhaustive list of the discounts available. For that, you’ll have to head over to the PlayStation Store and browse the games yourself. These are simply some notable titles (and some of our personal favorites) on sale that are worth mentioning, in case you’ve missed any of them over the last few years. All prices listed are the PlayStation Plus discount prices. For non-Plus subscribers, the price will be a little bit higher. The PlayStation Mid-Year Sale will be ending on July 17, so you’ve got a couple of weeks to decide if you want your wallet to get a little lighter. 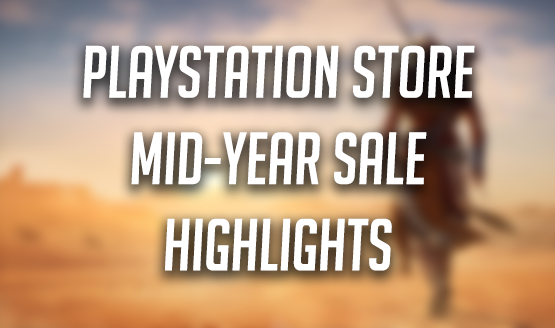 Will you be picking up anything from the PlayStation Mid-Year Sale? What games in the sale would you highlight for other readers? Let us know in the comments below.